Fall is here, and that means pumpkin is finally back in season. Find out how to prepare amazing pumpkin dishes with help from My Food and Family. From stews to soups to desserts, you have many different options to choose from as you get ready to enjoy this fall favorite. For all the pumpkin-lovers, you know that finding just the right gourd in the patch is only the beginning of the fun. Next up: how to use fresh or canned pumpkin to its most delicious extent. Discover a variety of pumpkin recipes for fall when you explore our collection. We have all the Halloween recipes and Thanksgiving menu ideas you might expect, from soups and raviolis to pumpkin desserts like pumpkin pies and pumpkin cheesecakes. Cake fans, be sure to check out this Luscious Four-Layer Pumpkin Cake how-to video—it&apos;s one of our highest-rated! Also, find out how to (and why you should!) roast pumpkin seeds. And, of course, for newbies and old hands looking to brush up on technique, there&apos;s our can&apos;t-miss illustrated guide to carving a jack-o&apos;-lantern! But before you dive into these fantastic pumpkin recipes, read our tips on how to purchase and prepare pumpkin to ensure your pumpkin dish is as scrumptious as possible. Select firm pumpkins that feel heavy for their size. The rind should be free of blemishes and soft spots. Store fresh pumpkins in a cool, dry dark place for 1 to 2 months. Do not refrigerate or cover with plastic wrap. Wrap cut pieces tightly in plastic wrap and refrigerate for up to 5 days. Freeze cooked pumpkin in sealable freezer-weight plastic bags or in tightly sealed plastic containers for up to 6 months. Just before using, rinse under cold water. Cut into halves or quarters with a large knife. Scoop out seeds and stringy fibers. Discard fibers and save seeds for toasting, if desired. Remove rind and cut into cubes or slices for boiling, baking, microwaving or steaming. Or, leave rind and halves intact, bake or microwave and then remove rind after cooking. 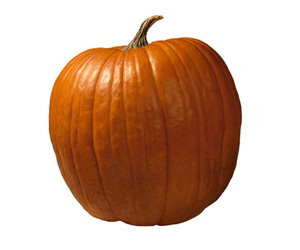 A fresh pumpkin cooked without salt is an excellent source of vitamin A and is low in sodium and fat free. Serve mashed or cubed cooked pumpkin as a side dish seasoned with ground cinnamon, butter and brown sugar. Add fresh pumpkin chunks to your favorite vegetable or beef stew. Perk up ordinary mashed potatoes by mashing in some cooked pumpkin and BREAKSTONE’S or KNUDSEN Sour Cream. Turn puréed pumpkin into a savory soup by thinning it with chicken broth and seasoning with sage, curry powder or ground cinnamon. Get creative with toasted pumpkin seeds. Season them with cinnamon-sugar for a sweet touch or use your favorite herb blend for savory seeds. Not only are pumpkin dishes delicious, but they are also a lot of fun. Prepare pumpkin dishes with family and friends for a great way to bond and enjoy each other’s company as the weather gets colder. Get a taste of fall with these delicious pumpkin recipes today.